StanleyParkVan.com is the complete guide to Stanley Park in Vancouver, B.C, Canada. 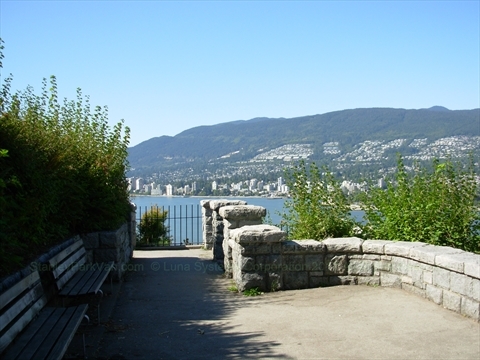 Stanley Park is a 1000+ acres park right next to the downtown core of the city of Vancouver. Stanley Park was created in 1888 and is the oldest park in the city of Vancouver. Stanley Park has recently been voted the best international park in the world! 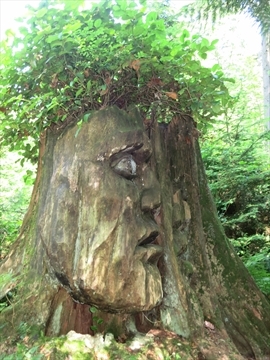 Stanley Park is considered the 'crown jewel' of Vancouver. We have hundreds of pages of information about Stanley Park so be sure to explore our website! Visiting Stanley Park is at the top of the list of things to do for Vancouverites and tourists alike. 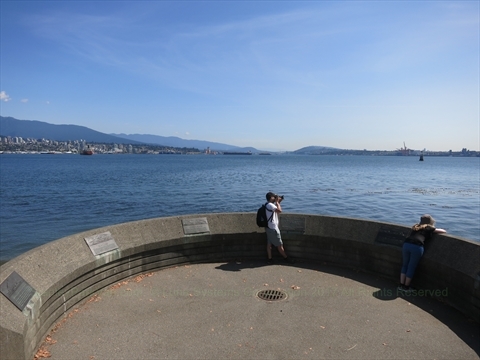 In Stanley Park, there is something to do for everyone from young to old from strolling or bicycling the seawall to going to one of it's beaches to playing sports to seeing historical statues and memorial to fine dining and enjoying musicals! Stanley Park has it all. Stanley Park was the first park created in Vancouver and it's history is the history of Vancouver. You will be astounded by it's beauty which includes some of the tallest trees in the world! 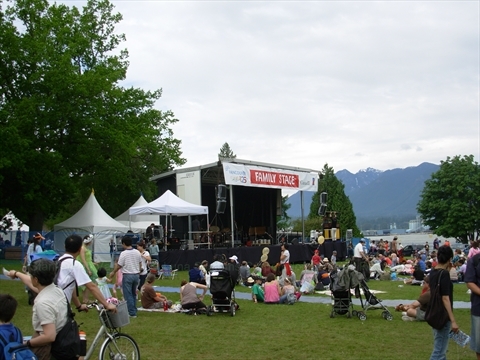 Check out our Stanley Park Events Calendar for a complete listing of events happening in Stanley Park! 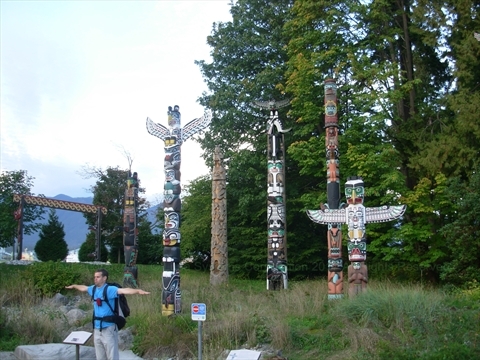 There are 27 attractions in Stanley Park such at the First Nations Totem Poles, Vancouver Aquarium, and Miniature Train among other attractions. 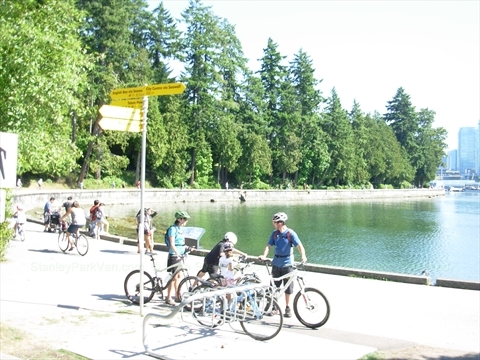 There are 23 activities that you can do in Stanley Park such as Walking/Strolling, Bicycling, Running, Swimming, Golfing among other activities. 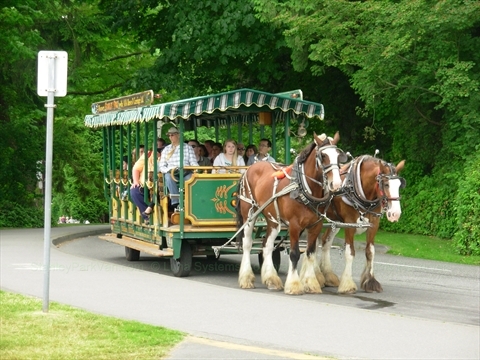 There are 10 different types of tours that you can take to see and enjoy Stanley Park such as a Stanley Park Shuttle Tour, Horse-drawn Carriage Tour, Bicycle Tours, Bus Tours, Walking Tours, etc. There are many events that take place in and near Stanley Park every year including the world famous Polar Bear Swim, Easter Fair and Easter Miniature Train Ride, Weekly Dancing in Stanley Park, Weekly Movies in Stanley Park, Theatre Under the Stars musicals, Stanley Park Open Tennis Tournament, Fireworks, Terry Fox Run, Halloween Ghost Train, Bright Nights Christmas Train among other events. We have the best and most up-to-date list of all Stanley Parks events in our Stanley Park Events Calendar. There are 3 full service restaurants, 2 cafes, and 7 concession stands in Stanley Park. The restaurants range from casual to pub-style, to formal. There are 17 key and historic locations such as Lost Lagoon, Ceperley Park, Prospect Point, Beaver Lake, Stanley Park Junction among others that you will definitely want to visit! 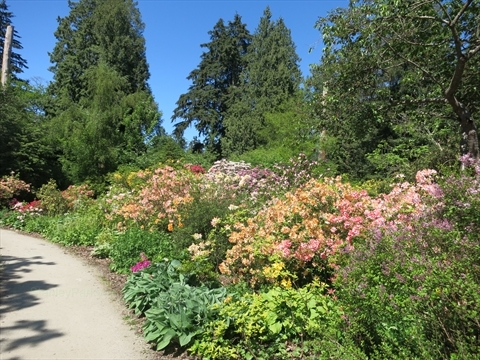 Stanley Park has 6 main gardens including the award winning Ted and Mary Greig Rhododendron Garden, Rose Garden, and Rock Garden, and Shakespeare Garden among others. Each of these gardens is unique and worth a visit! 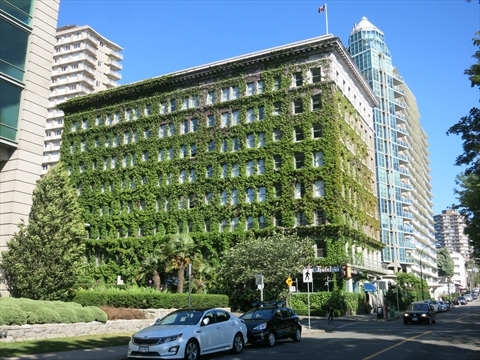 There are no hotels actually in Stanley Park, however there are many hotels nearby such as the historic Sylvia Hotel. We have chosen a selection of 6 of various price levels, service-levels, and uniqueness that you can stay at when visiting Stanley Park. 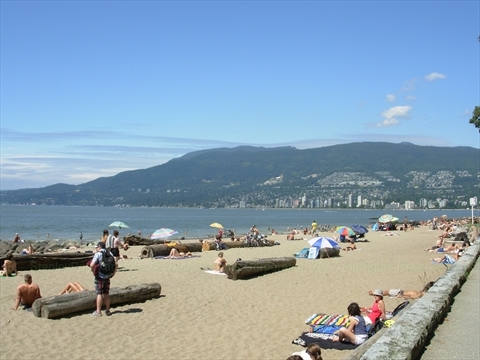 There are 2 main beaches (Second Beach, Third Beach) in Stanley Park and other very popular beaches (English Bay Beach, Sunset Beach) close by to Stanley Park. 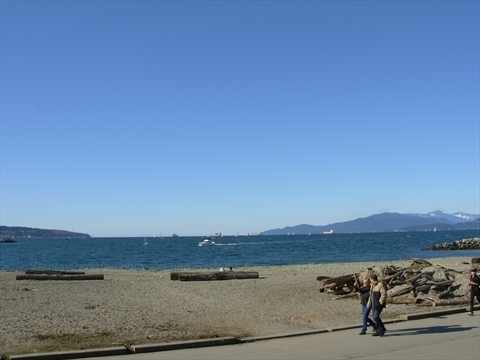 Stanley Park has many small beach areas all around the park that are lesser known. 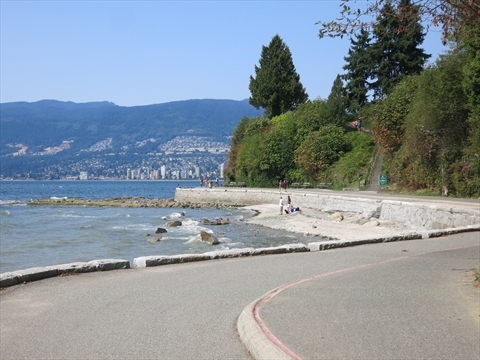 The Stanley Park Seawall goes completely around Stanley Park and is part of the longest seawall in the world! 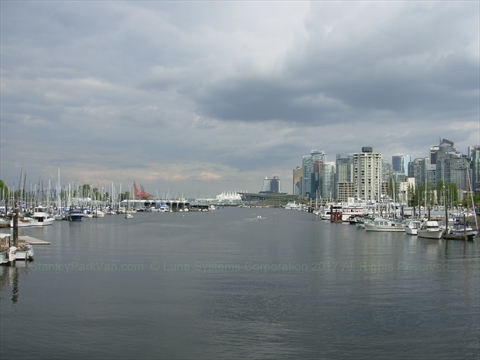 Let us tell you about the Stanley Park and other seawalls in Vancouver! When in Vancouver you much catch some of the awesome views of the mountains and ocean. Stanley Park is the ideal location to do this and has a number of excellent lookouts! 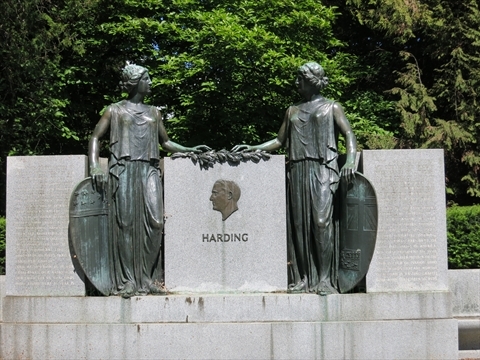 Stanley Park is Vancouver's oldest park and has a number of memorials. 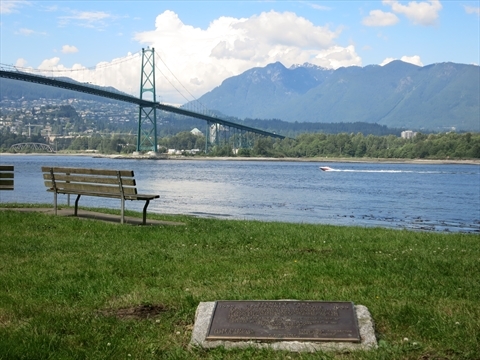 You won't believe who is memorialized in Stanley Park. Stanley Park has a number of statues including the oldest statue in Vancouver. 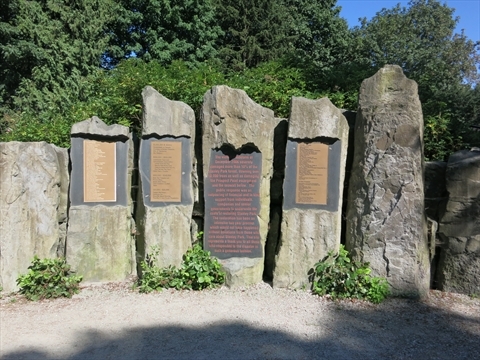 There are many plaques in Stanley Park which essentially tell the history of Vancouver and Stanley Park. We tell you about every plaque in the park! 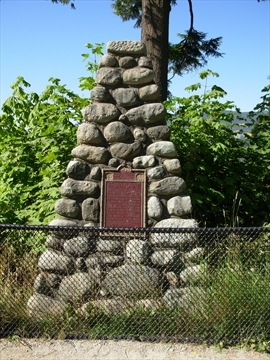 There are a number of cairns in Stanley Park that are historically significant. There are some impressive monuments in Stanley Park. There even is a monument to the giant windstorm which struck the park severely damaging many trees. The community rallied and helped to rebuild the park to it's glory! 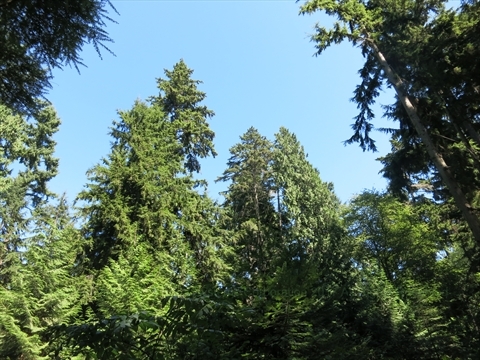 Stanley Park is home to some of the tallest trees in the world! There are also a number of historical and famous trees that you can see. We tell you where to find them! Who knew that there are many pieces of art in Stanley Park. There is even 'Enviromnental' art! 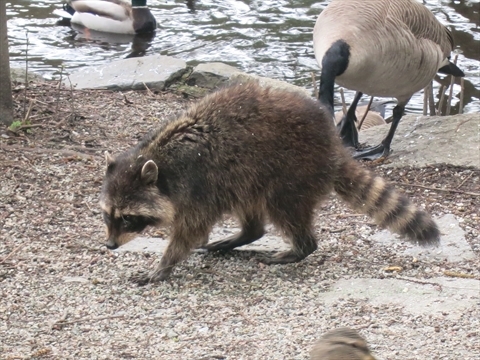 There are lots of wild animals in Stanley Park including rare Great Blue Herons, racoons, ducks, and even beavers! We even tell you about the mute Swans that used to be in the park. 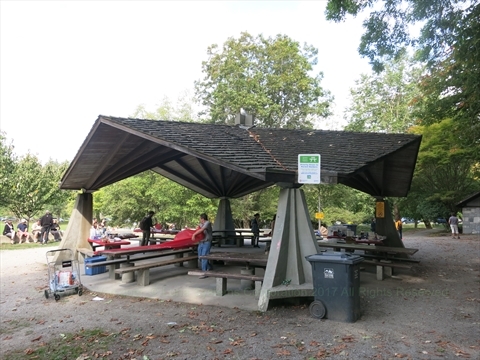 Stanley Park is a beautiful place for a picnic in the summer. We tell you where you can picnic and which spots are reservable. 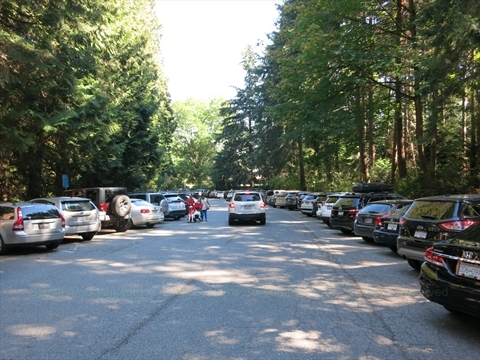 Before going to Stanley Park, it is good to know where to park and where the washrooms are in Stanley Park. We tell you all the general information that you need to know to have a good day in the park. See the links at the bottom of this page for general links! 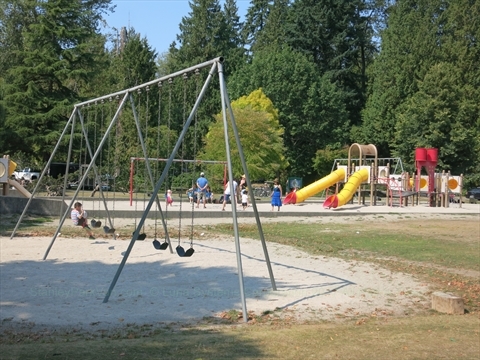 There are a number of things in Stanley Park that are just for children. There are a bunch of playgrounds and even the Variety Kids Water Park that is open during the summmer! Stanley Park has been Vancouver's sports mecca ever since the park was first opened. There are a number of sports facilities such as a Stanley Park Pitch and Putt Golf Course, Brockton Oval which is rugby field, Second Beach Outdoor Swimming Pool among other facilities. 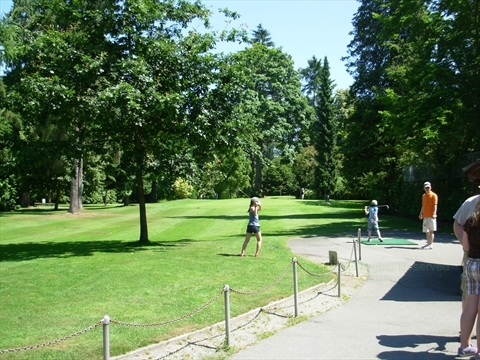 Some of the oldest sports clubs in Vancouver call Stanley Park their home. 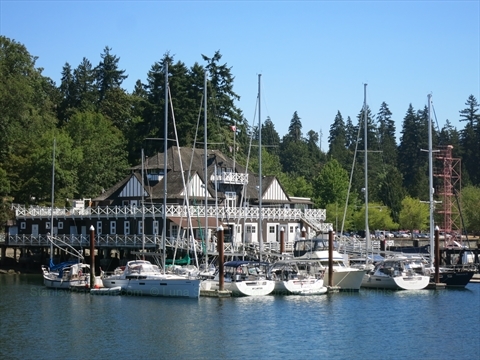 The most famous is probably the Vancouver Rowing Club which sits on stilts in Coal Harbour at the entrance to Stanley Park! 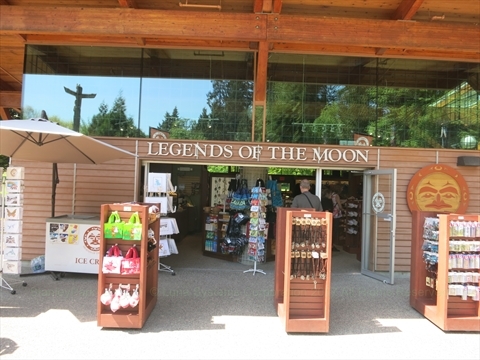 If you are coming to Stanley Park, be sure to pick up a souvenir from one of the gift shops! 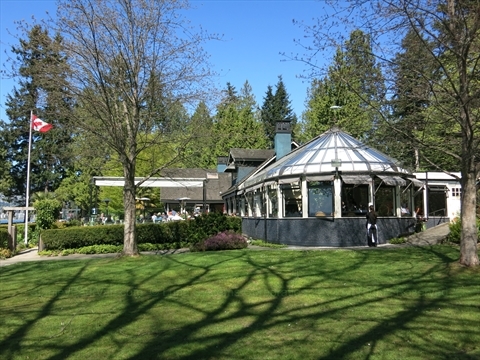 There are two gift shops located in Stanley Park. 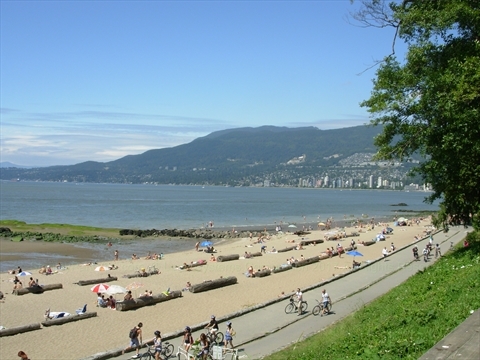 Stanley Park is busiest during the summer months. There are a number of sports facilities and attractions that are only open seasonally. Here we tell you about them! Stanley Park was Vancouver's first park and hence has a long and storied past. 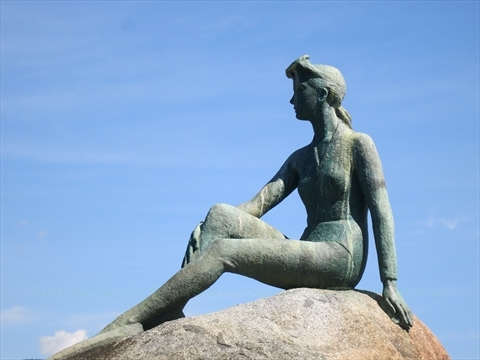 Here we share with you attractions and events that happended in the past and are now long gone! For example, in the past there was a zoo with Polar Bears, Penguins, and Bears. If you are visiting Stanley Park and Vancouver, you may need the services such as chiropractors, seamstresses, photographers, and casinos, etc. Although Stanley Park is large, there are only 8 roads in the park. 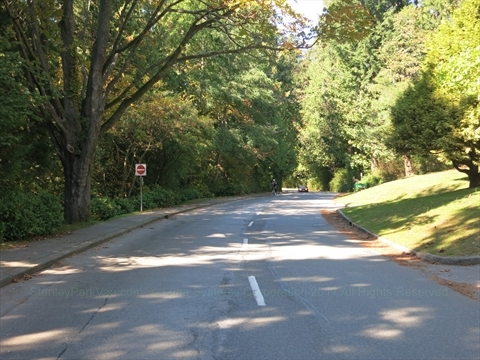 The main roads are Stanley Park Drive which goes completely around the park, the Stanley Park Causeway that cuts through the park to the Lions Gate Bridge, and Pipeline Road which also cuts down the middle of the park. English Bay is the main bay in the City of Vancouver. 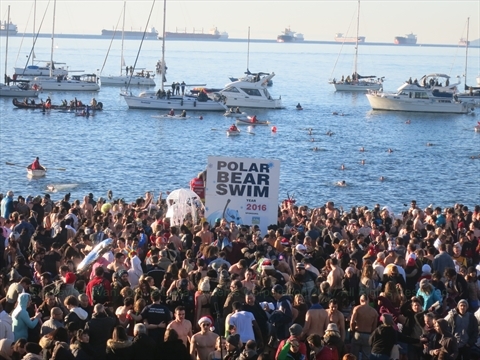 It has one of the most popular beaches in Vancouver, English Bay Beach , and has it's own English Bay Seawall, restaurants, art, and memorials. Coal Harbour is both a large bay off of Burrard Inlet and a residential neighbourhood It borders part of Stanley Park. Lost Lagoon in Stanley Park used to be part of Coal Harbour until it was cut off by the Stanley Park Causeway. Coal Harbour also has it's own Coal Harbour Seawall, many restaurants, a seaplane terminal and is where the Vancouver Trade and Convention Centre and Canada Place(the Vancouver Cruise Ship terminal) reside. 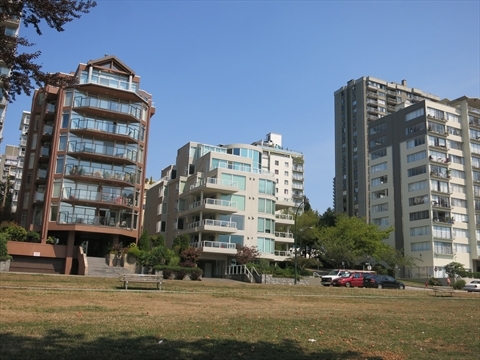 The West End is the residential neighbourhood located right next to Stanley Park. Although being one of the most densely populated areas in North America, it is also one of the most liveable! It has many restaurants, hotels, bars, cafes, and stores. It is a model for many future neighbourhoods! False Creek is a large inlet in the middle of Vancouver. Formerly lined by mainly industrial sites, it is now primarily residential containing some of Vancouver's best, most sought after, and most expensive real estate. 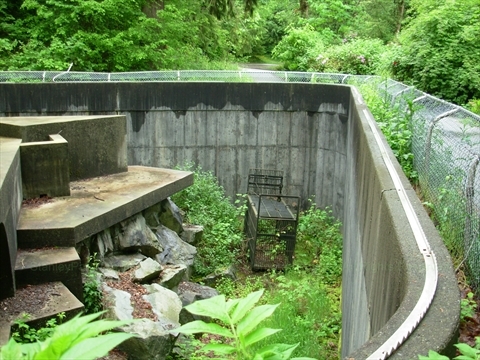 It also is lined by a seawall that runs it's entirety and is connected to the Stanley Park Seawall. 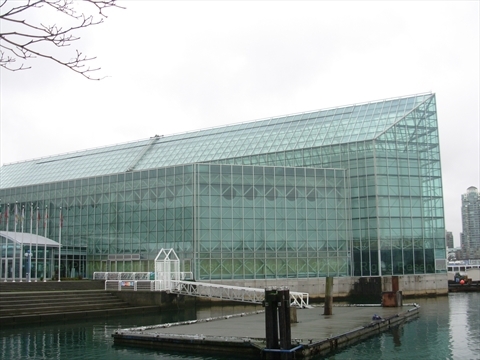 Granville Island and ScienceWorld are right on False Creek! What is the admission fee to Stanley Park? There is no admission fee to enter Stanley Park. 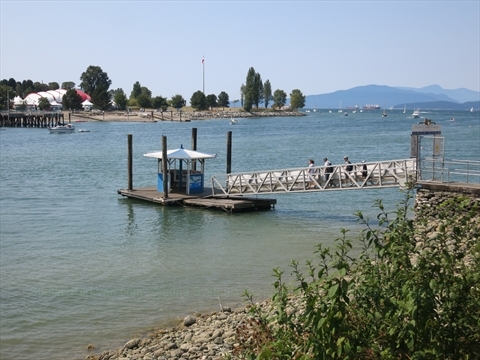 However, there are admission fees for some of the Attractions, Tours, and Sports Facilities within Stanley Park such as the Vancouver Aquarium , Horse-drawn Carriage Tour, Miniature Train ride, Second Beach Outdoor Swimming Pool, and the Stanley Park Pitch and Putt Golf Course.